In our Healthywage review, we’re going to tell you exactly how to get paid to lose weight. How many times have you told yourself you were going to lose those pounds? That you’re finally going to use that gym membership you’ve had for two years? That this time will be different – you’re really going to commit to your vision and achieve your weight loss goals! Not because you don’t want to, but because you just can’t seem to keep up that gusto long enough to follow through. Hey, I do that, too. We all do. It’s much easier to keep commitments we make to other people, but not so much the ones we make to ourselves. But what if someone was paying you to lose weight? What if you could potentially earn thousands of dollars just for meeting your weight loss goals? Do you think you’d lose the weight then? Well when we heard there was a company claiming lately that you could get paid to lose weight, naturally we were skeptical and wanted to do a thorough review. What is HealthyWage and how exactly do you get paid to lose weight with them? To best understand how HealthyWage works think of it as a bit like gambling; you “make a bet”, but the end result is fully in your control (meaning, there is no house edge). Either you lose the weight and get paid, or you don’t meet your goal and you lose your bet. 1. Use the HealthyWage Prize Calculator to determine your prize amount. Using the Healthywage calculator, decide how much weight you want to lose (minimum 10% of your starting weight), how much money you’re willing to bet ($5 to $995 per month), and how long you need to reach your goal (6 to 18 months). Play with the numbers using the Healthywage calculator until you’re satisfied with your prize (up to $10,000!!). 2. Sign up for an account to place your bet. Don’t head to the gym yet! Your weight loss timer doesn’t start until you’ve actually verified your weight. In fact, you’ll need to do this at least twice — once when you place your bet and again at the end of your wager period. Verification can be done from home by uploading a video to the HealthyWage website. 4. Lose weight, win money. If you accomplish your weight loss goal, HealthyWage will pay you in cold hard cash. But if you don’t, your monthly contributions will be used to support HealthyWage and pay future winners. If you don’t think the money alone will be enough to help you succeed, then you may want to consider joining a team. HealthyWage gives you the option to create your own team of 5 or make buddies with other HealthyWagers on a similar mission. How is the prize calculated? So it’s still a bit of a mystery to us. Basically, all the information you put into the HealthyWage Prize Calculator is run through a proprietary algorithm that considers your weight, BMI, the amount of time you want to lose your weight, time of year, etc. The short answer: math magic. The algorithm is constantly being updated and improved, so two people in similar situations could receive different prize offerings. But once you commit, your prize amount is set — there’s no turning back. However, you have the option to increase your earnings by referring others to the program. HealthyWage will put an extra $40 in your pocket for every friend or family member you bring on board. Is this get paid to lose weight app legitimate or just another scam? Since its inception in 2009, HealthyWage has been featured by some of your favorite news and media sources, including Good Morning America, NPR, and NBC’s Today Show, just to name a few. 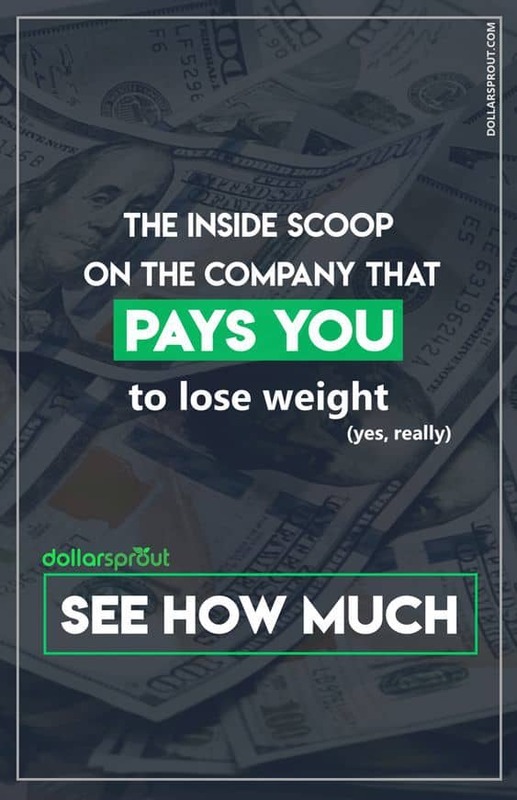 But how can a company afford to pay people for losing weight? The ultimate goal of any for-profit company is just that — to make a profit. HealthyWage wouldn’t exist if it wasn’t pulling in cash from somewhere. Can I get paid to lose weight free? Don’t worry, they’re gettin’ theirs. HealthyWage makes money from large corporate and government clients interested in new and creative solutions to weight loss. Not to mention, although money is a great motivational tool, not everyone wins their bet. For non-winners (or non-losers, I should say), HealthyWage keeps the monthly wager set at the beginning of the challenge. It’s brilliant! So brilliant, in fact, we’re a little bitter we didn’t think of it first. This is Elizabeth. ?Elizabeth lost 40.2 pounds and won $2,000. ? Elizabeth chose HealthyWage at this point in her life because she had wanted to lose weight and finally hit the point where she was mentally ready to do so and deciding she did not like the way she felt anymore. She has now accomplished two goals: Elizabeth lost the weight she wanted in order to get healthier and now has $2,000, which goes a long way toward paying down school debt. It’s a fresh start as she embarks on her career as a lawyer, looking and feeling great. You could say that HealthyWage works because money motivates people, but we believe it’s much greater than that. Many people probably sign up for the money, but they stick around and achieve their goals because of something better: the community (one of the pleasant surprises we found during our HealthyWage review). HealthyWage provides more than a financial incentive for weight loss. Team Challenges foster a sense of community and add an element of positive peer pressure. Like I said, most of us have a harder time keeping commitments we make to ourselves. But if you’re part of a team, suddenly you have an entire support system of people encouraging you to do something positive, and you’re more motivated to accomplish your goals than you were when you were on your own. That’s the powerful combination that is positive peer pressure + public accountability. If you’re going it alone, have no fear. You’re not really alone. There are more than 40,000 people on the HealthyWage Facebook page happy to provide support and encouragement to you on your weight loss journey. The verdict is in: HealthyWage is as real as it gets. You really can get paid to lose weight with HealthyWage. But just because it is legitimate doesn’t mean it isn’t without risk. Be smart about how much you wager. Between the use of incentives, social support, goal-setting, technology and your own personal health and wellness record, HealthyWage empowers you to live a better life. And what’s not to like about that? Now our question to you: what will you lose — your money or your weight? Their offer confused me. I showed two different amounts. And do you literally pay per month or only at the end of you don’t make your goal? I was hoping for some clarification. Not quite sure I follow about the two different amounts part, we may need some more details there. As far as paying goes, you can pay monthly or all at once (they’ll give you the option to do either). Hope that helps with the second question. Hi MO. Thanks for the questions. I believe the two different amounts that you referenced is the Prize Range which you’ll see on Step 1 of the calculator. Since prizes are customized based on your personal details, you’ll need to proceed through Step 2 of the calculator. You’ll answer 4 personal questions and then see your offer. You’ll be able to try different variations of goal, length, and wager amount to see different prize offerings. There’s no obligation to play with the calculator, so have fun with it! As for your second question about payments, Ben’s response is correct. Please reach out to us at [email protected] if we can answer any other questions for you. Thanks! To make sure I understand, If my bet is $10,000, I have the option to pay up front or monthly and if I hit my target weight loss then I will be refunded the $10,000 that I paid plus $10,000 for a total of $20,000. Is that correct? No, not quite. You’re not refunded your original payment per se. You win the prize as calculated by their algorithm (which will exceed your original bet by some figure). Typically bets that are short(er) in duration with the highest percentage of body weight loss will earn the highest possible ROI. A 6-month bet for 30% total body weight loss at $X/month will yield a greater ROI than an 18-month bet at 30% total body weight loss. The algorithm operates in a manner that the higher the risk, the higher the ROI you can earn on your bet. Your goal should be to find an healthy weight loss goal that is realistic enough to meet, but rewarding enough to possibly offset the monetary risk of not sticking to your bet. If I bet $$ for 6 months then stop participating after 3 months, I’m obligated to pay the $$ for the duration of the contract ( another 3 months)? I’m not 100% sure about that one — I’d imagine your bet would immediately be void and they would collect the 6 months you had paid to date (but presumably not the final 3 months). If Kate checks back in she may be able to let you know for sure or you can reach out to [email protected] and they’ll be able to help clear that up. So, I might have come up with one little problem – What if I wager $2500 that I can lose 50lbs… and then go enroll at Weight Crafters or Pritkin… and then use my winnings to pay for my weight loss camp stay? … If everyone did that, HealthyWage would go bust in no time flat. Well, to be fair, your winnings won’t be paid out until after you successfully complete the bet, which means you’d have to front the cash for those weight loss services. 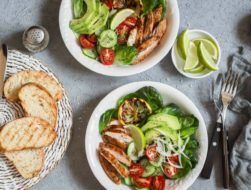 If you’re serious about losing a significant portion of your body weight, excellent dieting is the expectation, so it’s not really a workaround 🙂 You’re going to have to do it regardless! That said, you’ll have double the monetary motivation to succeed so you should be EXTRA motivated! Hi I’m 57 this February and am thinking of joining, but I’m skeptical ?? if I bet and go forward with contract and decide I can’t do it, does it end there? And like someone else said, what is my cost? Less say I bet 30.00 for 6 months and then after say 3 months I quit what happens? Do they keep your money and give your own back to you as the payment or match it? Also, is it one lump sum at the end of your time period or if you have an off month and gain will you lose your prize? Hi Laura. We believe strongly that an important part of the service we provide is a negative reinforcement that helps you avoid procrastinating and quitting, which would be undermined if you could simply change your mind or find an excuse to quit. Moreover, our pricing is based on actuarial models that assume no refunds. There are no exceptions except in rare, evidence-documented medical situations. Hi Betty, my answer for you is the same as for Laura. We believe strongly that an important part of the service we provide is a negative reinforcement that helps you avoid procrastinating and quitting, which would be undermined if you could simply change your mind or find an excuse to quit. Moreover, our pricing is based on actuarial models that assume no refunds. There are no exceptions except in rare, evidence-documented medical situations. As far as the cost goes, the only associated cost is the amount you select to wager. Your wager amount needs to be a minimum of $100 over the life of your challenge and you get to select how long you’d like that to be. (ex: if you select a 10-month time frame for your challenge, you’d need to wager at least $10/month.) You can choose to pay all at once or in monthly installments. Hi Misty. Your prize equals your wager amount + your profit amount. Your profit will be anywhere from 11% to 300% based on a number of personal factors. You’ll see what your exact prize would be in Step 2 of our prize calculator. Many of our winners more than double their money! There are no monthly goals that you are required to meet. If you hit your goal by the end of your challenge, you’ll win your full prize. What would happen if you were to end up pregnant during your wager? Is there any disqualifying reasons to win your prize if you loose the weight. For example there is a weight loss program called Burn Fat Orlando that I wish to aide in my weight loss journey while also participating with Healthywage at the same time. Can I do both simultaneously and still win my wager & prize from Healthywage? How and when do you receive your prize if you win? Hi Debra, After you submit your final verified weigh-in, verification occurs as soon as 1 day but never more then 7 days. Then, if you select PayPal for your payout method, you’ll receive the money within 3-5 days. If you select a check as your payout method, you’ll receive that in the mail within 1-3 weeks. Can some one from South Africa join or not? Hi SUNÉ. Yes, you are welcome to join from South Africa! I wouldn’t be competing with other people for the prize right? If I decided on 6 months to lose 50 pounds and lose it in 4, does that increase my winnings? @Tammy Jordan – The earliest you can weigh-out for the challenge is 2-weeks prior to your end date even if you have met your goal early. 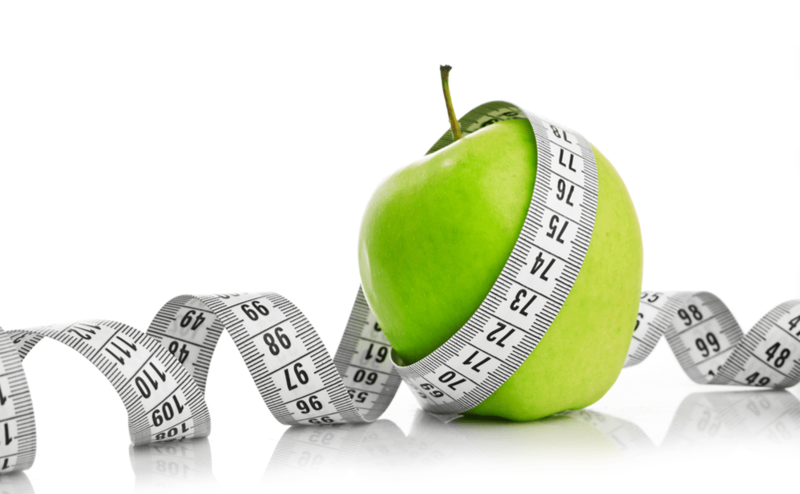 We want to encourage weight loss and weight management over time. Our goal is to help you get the weight off and keep it off, develop new habits, and a new lifestyle over the course of your challenge. If you meet your goal early, you’ll just need to maintain or continue losing (as appropriate) until that weigh-out window opens. Hitting your goal early does not increase your prize. In just a couple of weeks, I went from being someone who hated cooking and never had the time… to making basically every meal at home. All because of meal prepping. Here’s how I do it for less than $48 a week.